Right there in the laps of mountains and vast greenery, is the place to have some unforgettable moments with your loved ones. The name of the place means ‘field of heaven’ in English. And, how true is that! 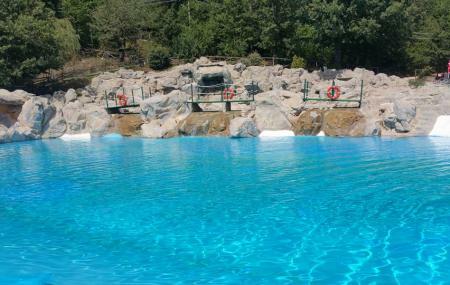 Outdoor swimming pools and waterfalls are the main attraction of the place. But, other than that horse-riding, well-planned themed evenings, live music and numerous sports activities guarantee that the time you spend here will be as great as the view this place offers. They also offer open space for planning your events or parties. Do not forget to add this to your list when you visit Italy next time. Create a customized plan for your visit using the Roccamandolfi trip planner. You can use ready templates or start from scratch for the same. You won't miss your home when in Roccamandolfi, hotels in Roccamandolfi like Club Hotel Lo Sciatore, Casale Maginulfo, Hotel Miletto and Hotel Europa Depandance offer some of the best places to stay in the city. If you want to add the visit to Piscina Campo Di Ciello in your trip, you can choose from the variety of Roccamandolfi vacation packages that can be designed to suit your preferences. These packages also cover your major concern of how to reach Roccamandolfi. Love this? Explore the entire list of places to visit in Roccamandolfi before you plan your trip. Fancy a good night's sleep after a tiring day? Check out where to stay in Roccamandolfi and book an accommodation of your choice. I live there and l like and love this place because nature it is full of green plants, flowers. Molto bello, personale accogliente. Ci sono tre piscine dalle quali poter osservare il bel panorama: una per bambini, una poco profonda per adulti e un'altra più profonda (quella in foto). C'è, inoltre, una vasta area adatta per fermarsi a mangiare un boccone.